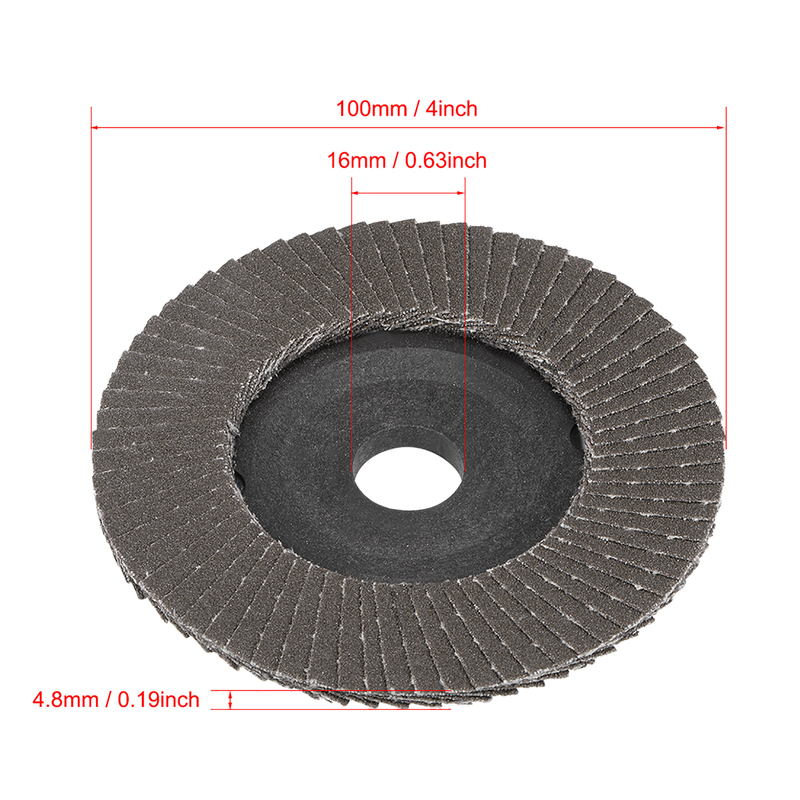 * With advanced grinding technology, the flap disc has good elasticity and high grinding efficiency. * Thickened design of the flap disc, good heat dissipation and low noise, suitable for long-term use. * Ideal for light grinding, blending, sanding, deburring, and finishing on a wide range of material. * Can be used with an angle grinder, great for use on rust, paint, steel, and non ferrous metal. * Widely used in metal, stainless steel, automotive, heavy machinery, marine, aluminum, wood and other industries. * Note: Please remember to wear protective glasses when using this product.